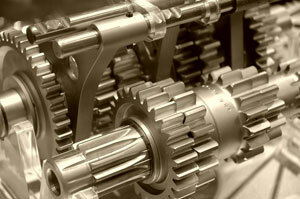 Mechanical calculations bring together individual hand calculations with analysis software to assist in the design of either individual or an assembly of mechanical components. Aecentus have a great deal of experience in the specification and analysis of many individual and assembly of components, such as driveshafts, couplings, bearing / lubrications systems, gears / splines, and their associated machined or cast housings, both welded and non-welded. Design, specification and analysis of pneumatics and hydraulics actuators as well as their static and dynamic effects on components and structures. Schematic modelling of the whirling frequencies of a high-speed cutting disc driveshaft. 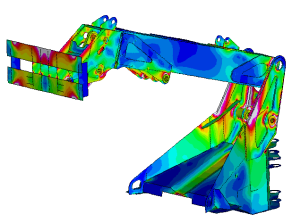 Frequently, the analysis of such components and assemblies leads onto the use of FEA software as well as the need to record the actual static and dynamic loads which the components are experiencing (data acquisition), e.g.